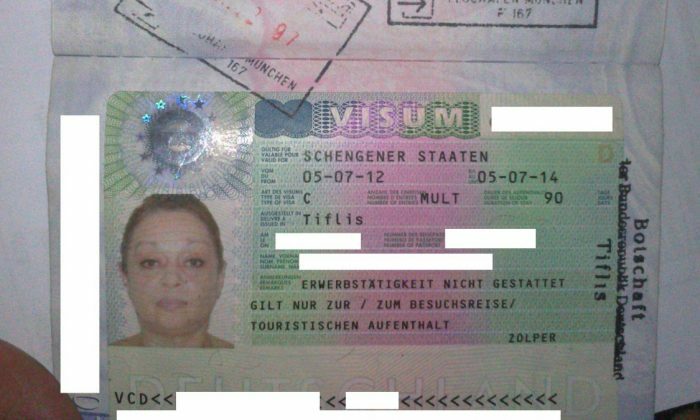 According to the Deutsche Botschaft Tiflis/Georgien (the German Embassy in Tiblisi/ Georgia) and the Official Journal of the European Union, Georgian citizens who possess a valid Schengen Visa Type C Multi (90), and other types of Schengen Visa, are allowed to stay in Germany no more than 90 days per period of 180 days. The data can be read in an Official Journal of the European Union, a document issued by the EU and used by the Deutsche Botschaft as the legal basis for visa requirements for all Georgians who travel to Germany. These regulations have also been confirmed in a telephone conversation with the Bundespolizeipräsidium in Potsdam, the official standing executive committee for the German Federal Police. However, the Bundespolizei Munich has ignored, on at least one occasion, the official agreement between the European Union and Georgia on the facilitation of the issuance of visas, recalculating 180 days as “halbjahr” – or 6 months: an error, with severe implications for Georgian citizens. These 180 days are what is called a “Bezugszeitraum” – a reference period, that should be respected ad litteram by Schengen visa holders, but also by law enforcement representatives. For Georgians in transit through Munich Airport, who calculate their Bezugszeitraum in Germany on the 180 days rule, any other way of “calculating” their stays by the Bundespolizei may result in severe repercussions, which may range from financial fines to even imprisonment. The Munich Bundespolizei seem willing to go to any extent to deny, or to go around the official agreement between the European Union and Georgia on the facilitation of the issuance of visas, and especially around the 180 days official Bezugszeitraum, calculating entries and exits by Georgians (and perhaps other citizens of the Schengen area) on a local, Munich-specific “halbjahr” formula. Concretely, a “halbjahr” (half year) or 6 months Bezugszeitraum is in no way 180 days. Usually, the “halbjahr” is calculated from the date of the entry, till the corresponding date, six months later. This will go a few days over the 180 days timeframe specified by the official document Georgians are using as their legal base to travel to Germany and elsewhere in the Schengen area and the EU. A concrete case study presented to us shows a Georgian national who entered Germany on July 5, 2012, and exited on October 2, 2012; then returned to Germany January 3, 2013, and attempted to leave March 28, 2013. Based on the official agreement between the European Union and Georgia on the facilitation of the issuance of visas, the 180 Bezugszeitraum counting the date of entry as July 5, 2012, ended December 31, 2012. A new entry in Germany on January 3, 2013 would thus begin a new Bezugszeitraum of 180 days. Still, upon attempting to leave Germany on March 28, 2013, this Georgian national was apprehended by the Bundespolizei Munich, and accused to have stayed in Germany 85 days over the “Bezugszeitraum.” This Bezugszeitraum is calculated by the Bundespolizei Munich based on a formula known only to local Munich Airport Federal Police, and defined as “halbjahr,” from July 5, 2012 to January 4, 2013. Because the Georgian national we speak of entered Germany on January 3, 2013, and didn’t travel out of Germany before January 4, 2013, according to the Munich-based Bezugszeitraum formula, she overstayed her welcome by some 85 days. Once she was apprehended by the Bundespolizei Munich, the Georgian grandmother had to pay a fee of €660 Euro on threat of imprisonment by police officials there, and is currently threatened with further legal action against herself and her family residing in Germany. This, after she had to sleep on the floor in Munich Airport, had no money for food for more than 36 hours, and was forced to choose to exit Germany via Moscow or Istanbul. Added to this police officials in Munich even at this posting contend the traveler’s inconvenience is none of their concern. One crucial element of this story, the fact this may, or may not be a singular case, should be the focus of any further stories and/or investigations. Many Georgians and other nationalities travel to Germany to visit their families daily, and most of them count their stays with mathematical precision. However, few of them know that the Bundespolizei at Munich have a different formula, other than that specified in official documents presented to Georgians (and other nationalities with similar agreements with the EU) when they receive their visas. There is no telling how many people were victimized because of this Munich-specific formula, and how many might be treated like criminals despite their innocence. This is to warn Georgian citizens, or any other Schengen visa owners who base travels to Germany on the 90 days in 180 days rule, to be very careful in dealing with the Bundespolizei Munich. Better stay less, and come later, than to have to go through the humiliation that follows being stopped for a crime you’ve never committed. If you were in a similar situation, or you know someone who has, the Bundespolizeipräsidium advises that you send a complaint at bpolp@polizei.bund.de, together with all the relevant documentation (pictures of your visa, pictures of the entry and exit dates, and so on).